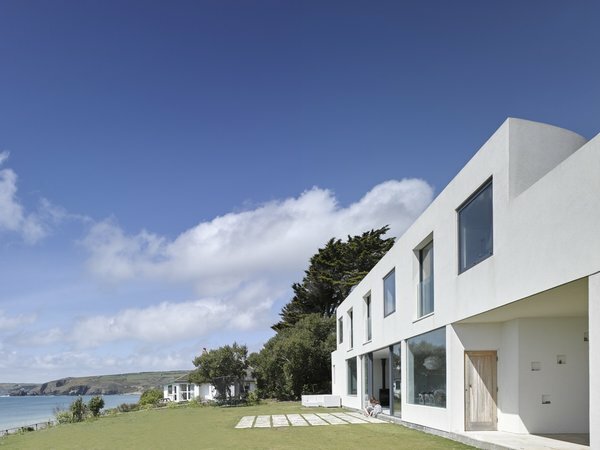 Stay at the Cornwall beach home of renowned London architect Alex Michaelis on your next vacation. 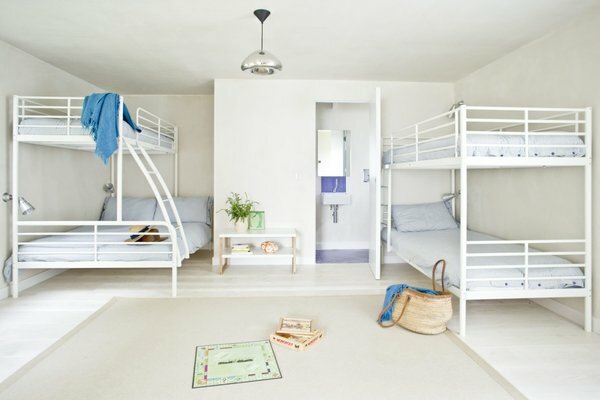 Available to rent through Beachspoke, Little Cottage is really much larger than its name suggests. 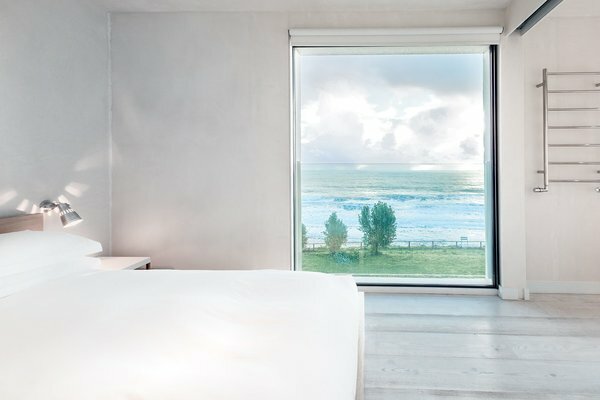 With four rooms set over two floors, the house sleeps up to 11 people and faces Praa Sands beach, near Penzance on the South Coast of Cornwall. When Michaelis first discovered the cottage, it was an old crumbling stonewall structure that was in bad condition. 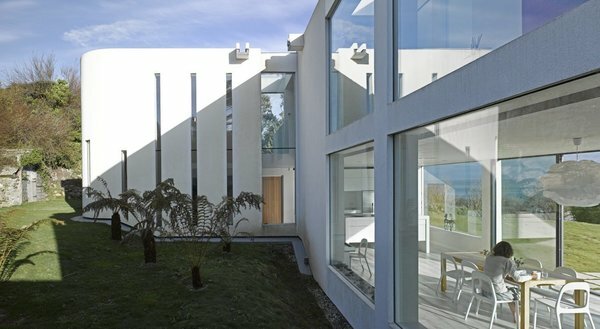 So, he demolished the old building and replaced it with this geometric modern house with white-washed walls, plenty of large windows, and a grass roof. 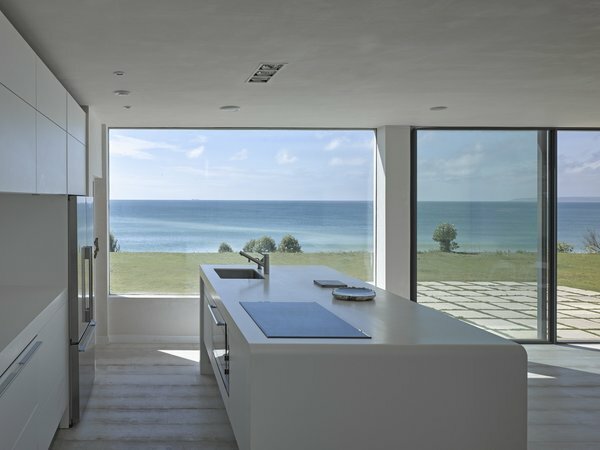 The most important thing for him was to take full advantage of the panoramic ocean views. 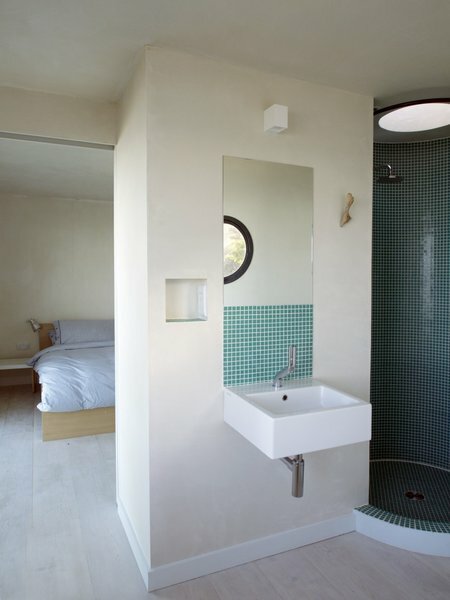 He did this by installing multiple skylights that frame the often starlit night sky. 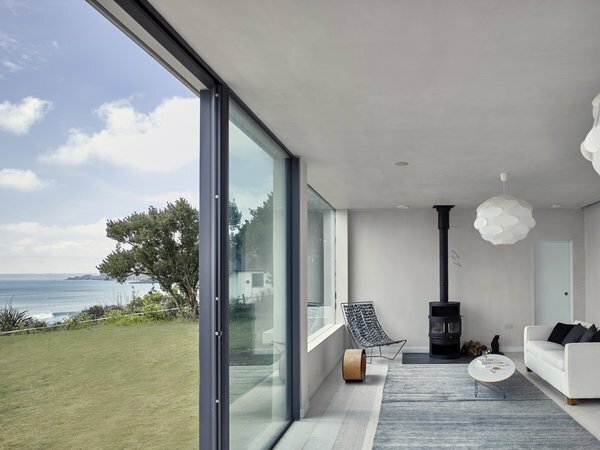 The open-plan living area with a wood-burning fireplace includes glazing on the front and back, allowing guests to gaze right out to the ocean and walk straight to it for a swim. 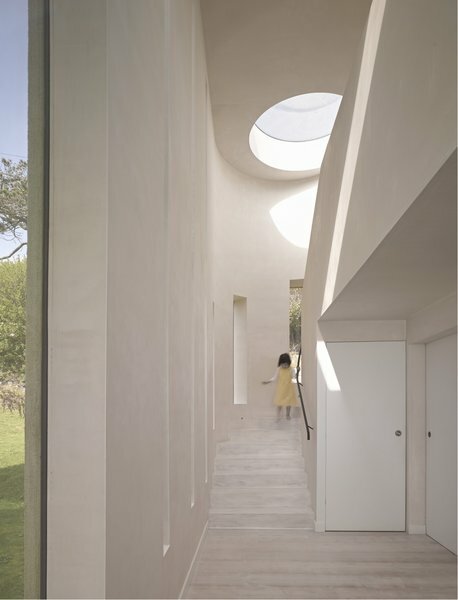 A double-height slot next to a winding staircase draws in sunlight and presents yet another perspective of the sky. 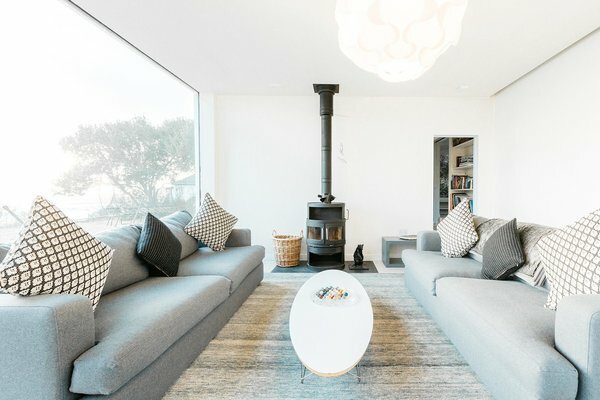 A simple neutral-toned color scheme and Scandinavian-inspired furnishings imbue the Little Cottage with a timeless charm.